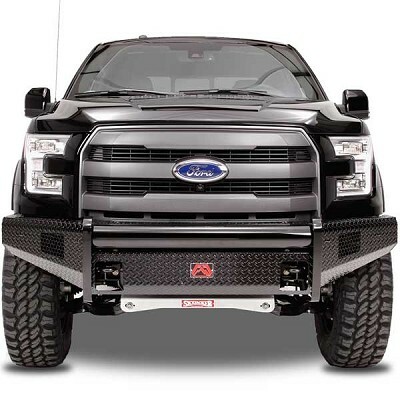 For the 2015 and 2016 Ford F150, Fab Fours took the “ranch” bumper layout and gave it a one-of-a-kind styling and design. 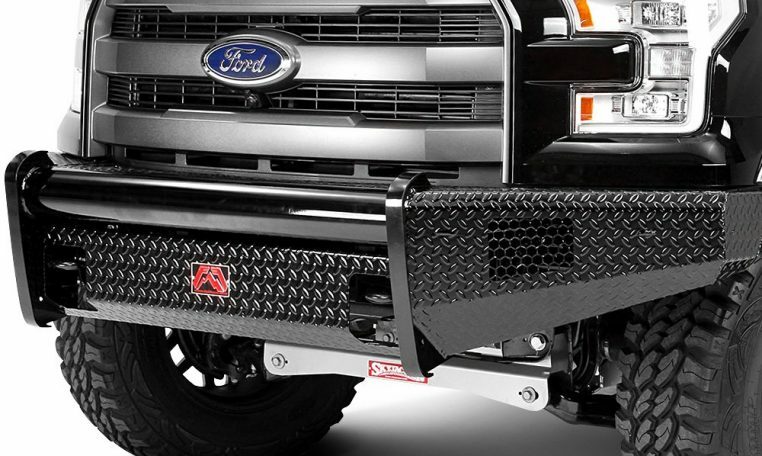 This bumper has no vertical flanges and tapered edges. 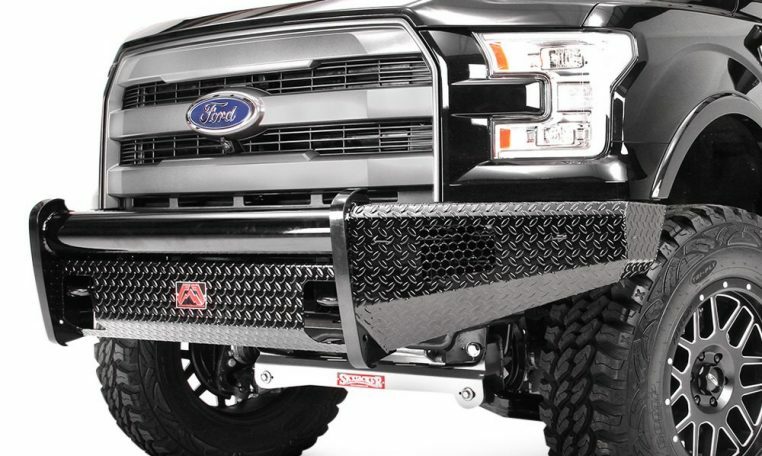 Like all Fab Fours’ products, they engineered every bumper to seamlessly match the body lines of each model truck. 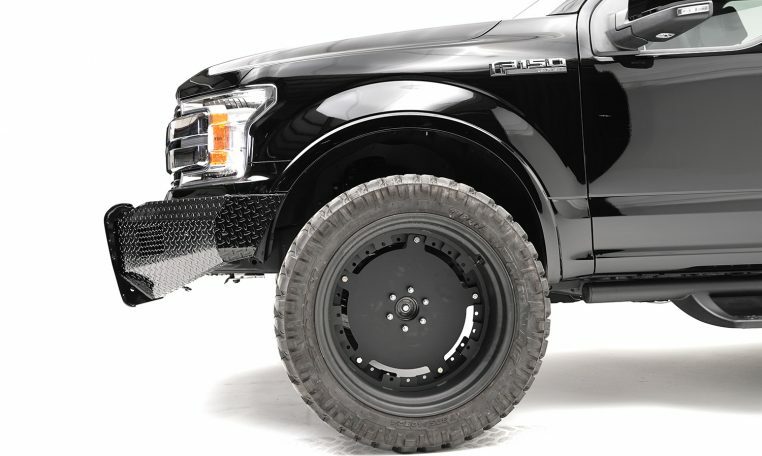 The Black Steel series offers up a brand new appearance with the same Fab Fours’ quality.